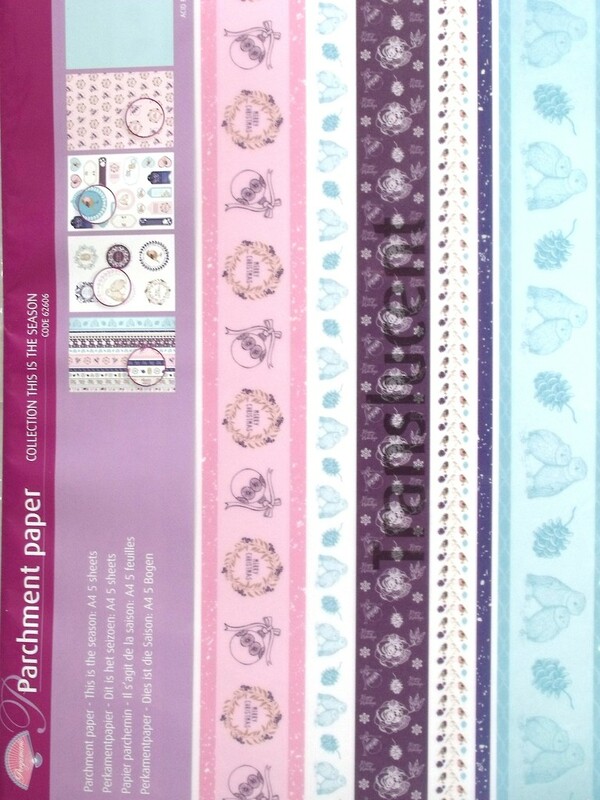 Rainbow parchment craft paper 150g mixed colours and gradations 15 sheets. Limited stock. 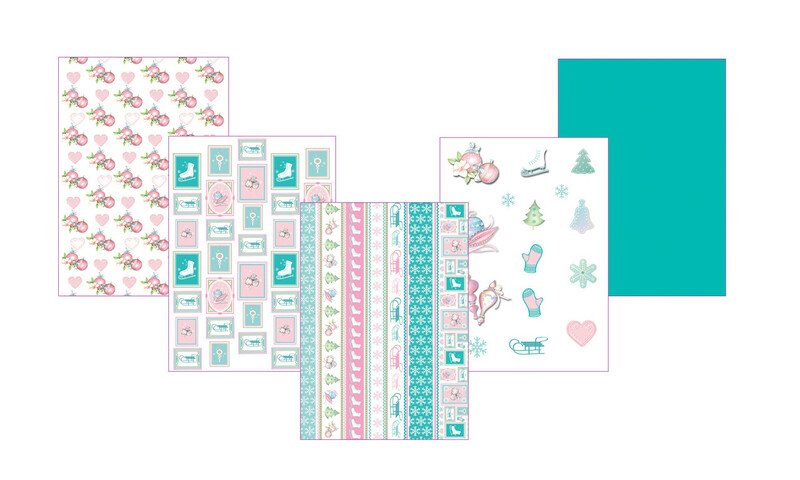 This collection contains five different sheets with beautiful Christmas and winter motifs. 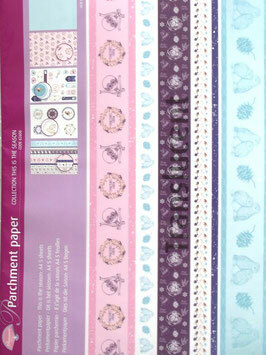 This decorated parchment paper is versatile to use, for example to create the atmosphere of your card. 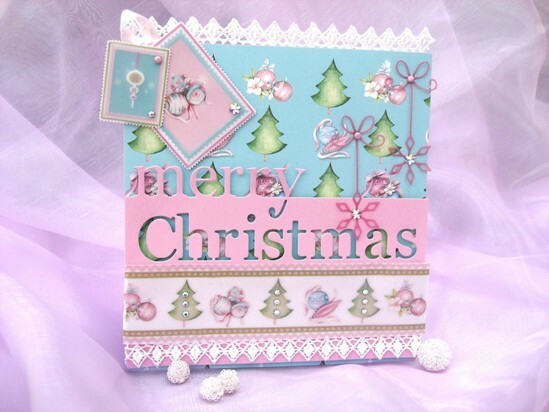 In combination with design paper Winter festival (62599) and multi grids 38 and 39 you can make each card something very special! 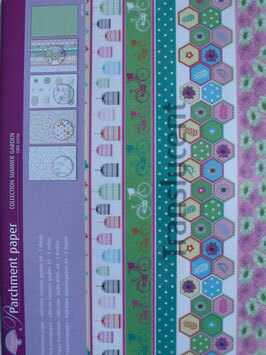 This collection contains five sheets of atmospheric Autumn, Winter and Christmas designs. This decorated parchment paper is very versatile, in combination with design paper This is the season (AUPP1002) and multi grids 42 and 43 you can make any card into something special! 150 grams parchment paper. Mix & Match with the Aurelie 'This Is The Season' collection! 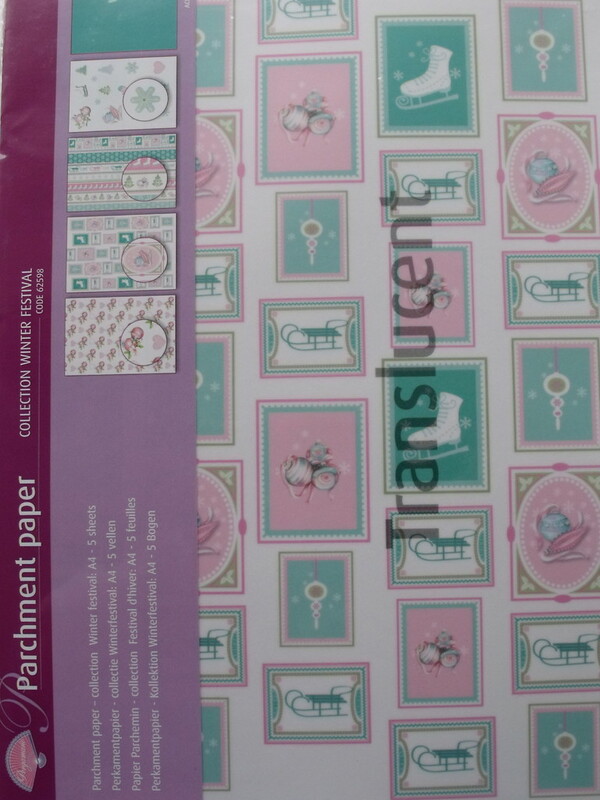 150g Parchment paper - 5 sheets - flowers metallic pink is transparent parchment paper featuring a glistening pink print of a whimsical design of flowers, curly lines and dots. 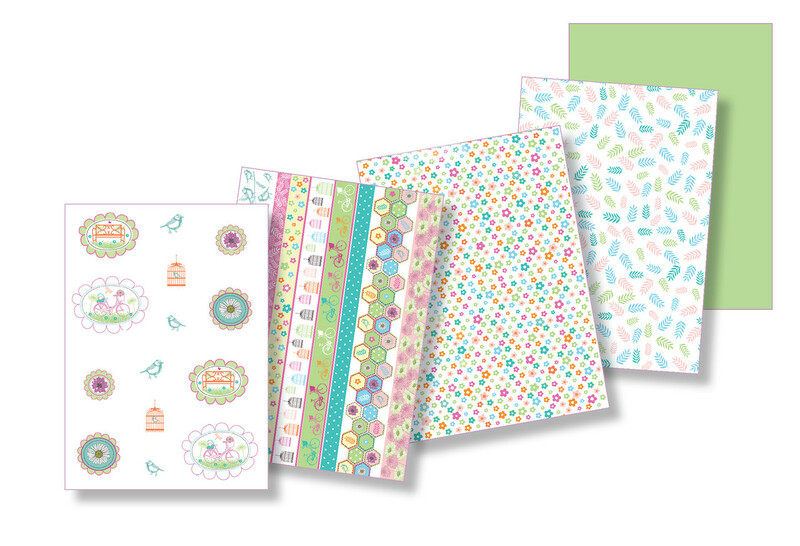 This collection contains 5 different sheets with cheerful flowers and garden motifs. This decorated parchment paper is very versatile, for example as a base for your card. 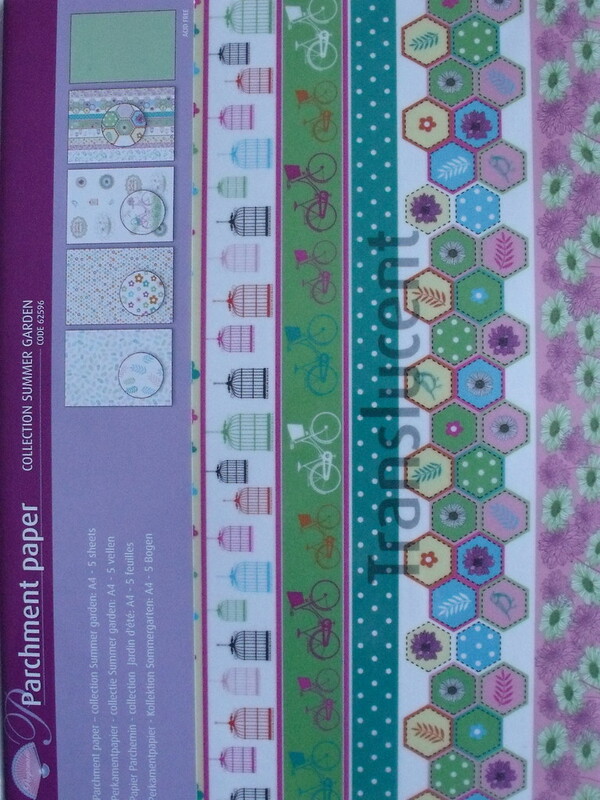 Can be used in conjunction with the Summer Garden Grids.